I'm squeaking in at the last minute with an entry for the Craft Barn song title challenge this month. Mickie has chosen "Parisienne Walkways" for us - as usual, the song title and artist should be included and I've stuck with the postcard format I've been using for this challenge. 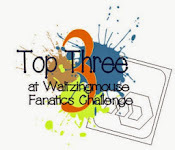 There are things I would do differently if I was doing this again but it's the last day of the challenge and I don't have time to do a re-make, I'm afraid! I'm reluctant to miss a month though so here it is, even if I'm not 100% happy with it! About my old Parisienne days"
as the starting point, stamping a paragraph in the centre of the card. 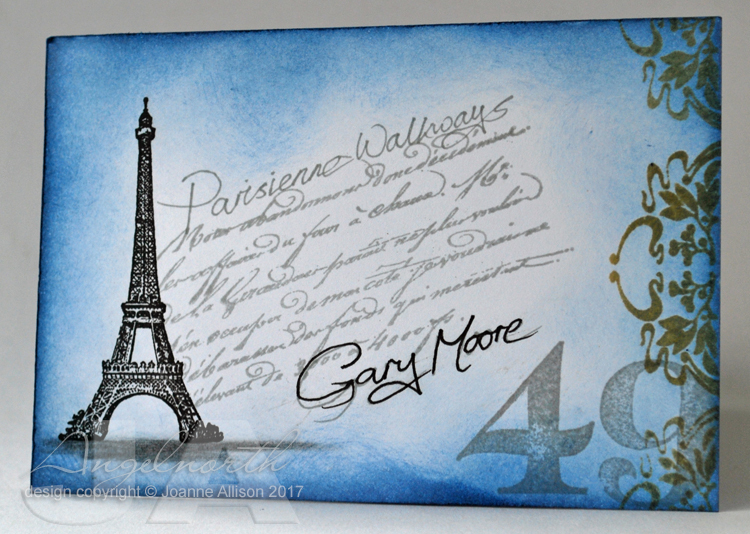 I added the song title and Gary Moore's name in my own handwriting then stamped the Eiffel Tower, the number 49 and some art nouveau style detail before sponging the edges with blue ink. Love it! One of my most favourite songs too!